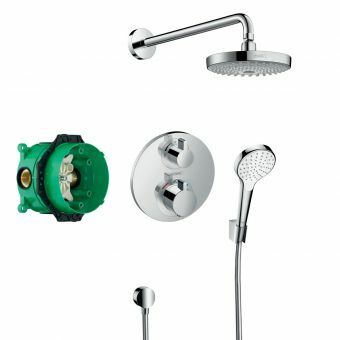 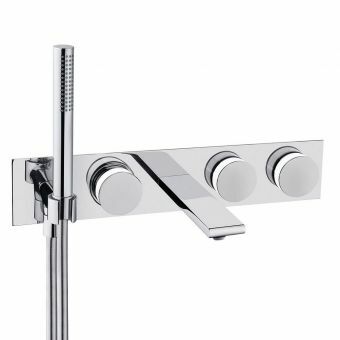 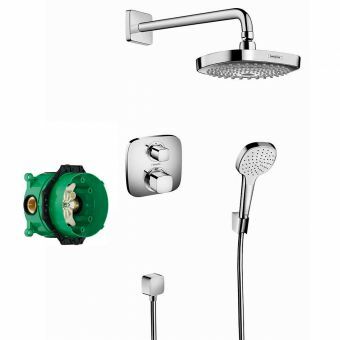 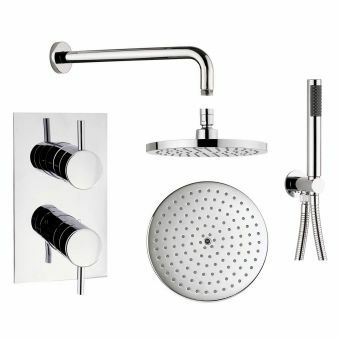 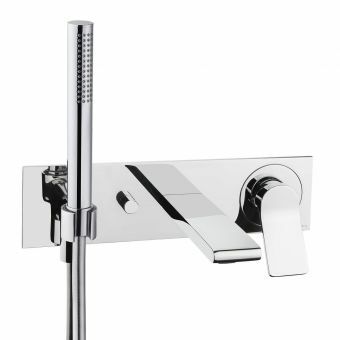 A twin combination shower set, the Croma Showerpipe Set from prestigious European designers Hansgrohe brings a stylish, durable and highly enjoyable suite to the bathroom or wet room. 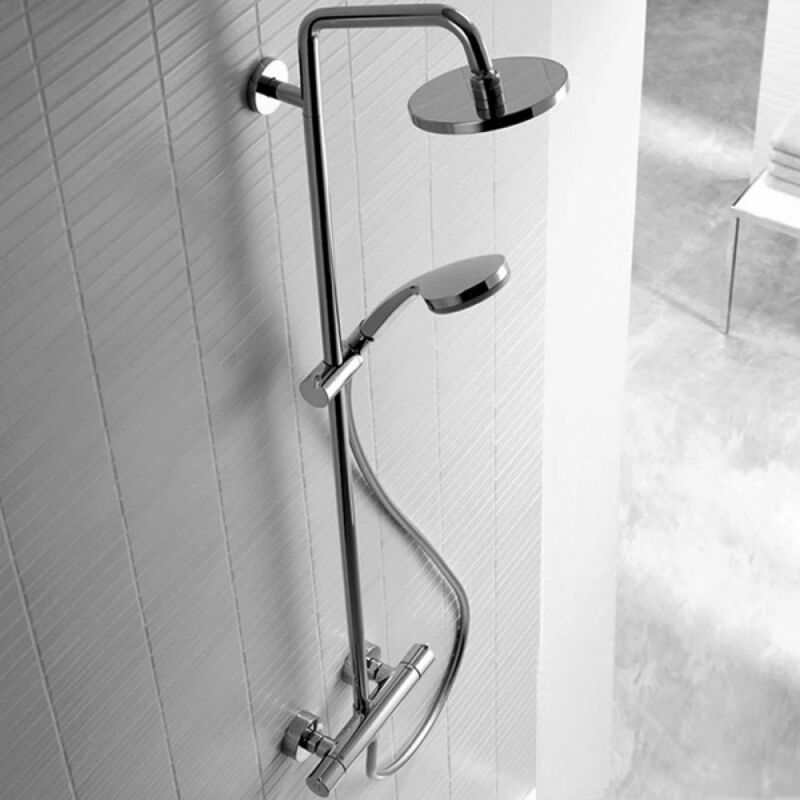 Arranged in the exposed style, this suite is anchored to the wall at the water inlets, and to the shower riser pipe itself. 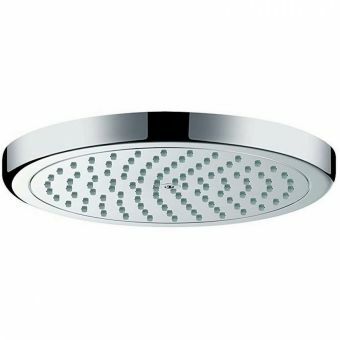 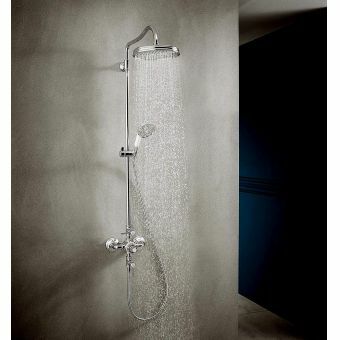 Featuring the Croma 160 as the overhead shower rose, this broad spray pattern shower head is supplemented with the Vario handset. 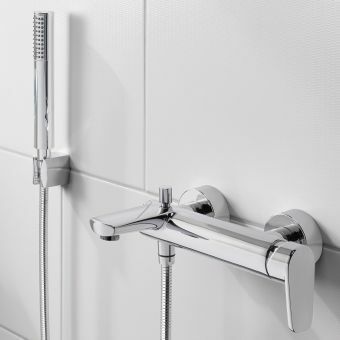 Working both from the same exposed, thermostatic shower controls, the heads are designed to be run independently of each other. 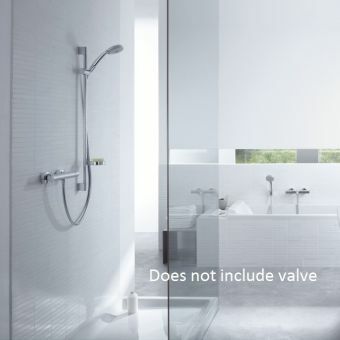 While the overhead shower outlet is fixed to the Rain spray pattern, the Vario handset bares no less than four different spray settings. 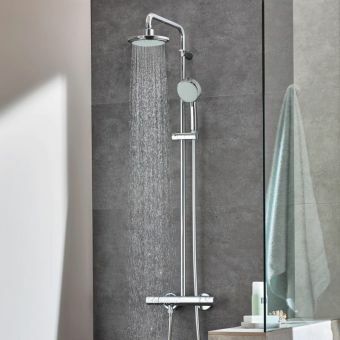 simply click the selection button to flick between Rain, Normal Spray, Shampoo Spray or Massage Spray, tailoring your showering experience to fit your needs at the moment. 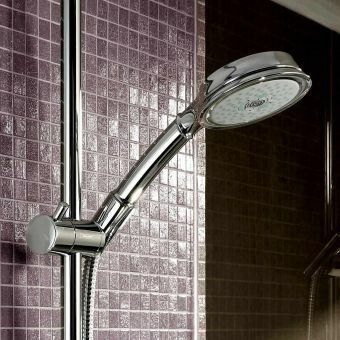 Including the specially formulated QuickClean technology, this suite is ideal for inclusion in hard water areas, as it resists the build-up of limescale, and allows quick and easy access to clean and maintain the unit when needed.